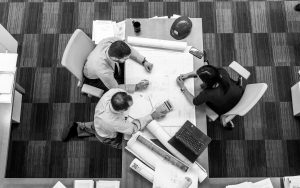 Our project managers are key for the successful conclusion of your project. They will coordinate the project from A to Z and will take care of the communication between all parties involved in the project. 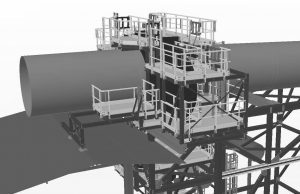 A team of highly qualified and experienced engineers will design your steel construction and create drawings for the production: Tekla, Autocad, Inventor, XSteel, Solidworks,… For specialized engineering we work together with partners, who are coordinated by our project manager. Our team of experienced and qualified people are ready to be deployed for your project. They are trained to work safe, and are certified with VCA and SCC. 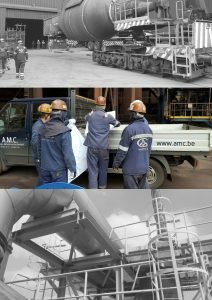 AMC is able to produce steel constructions conform the highest standards of European quality. As proof of our commitment to deliver the highest quality, we obtained the certificate EN1090-2 EXC 4, for our production facilities in Belgium and in Germany.